Put community health on the map. 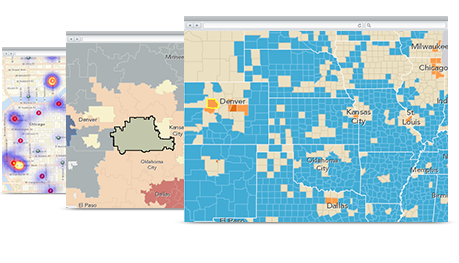 Tackle issues at the forefront of public health with intelligent maps and analysis. Manage pandemics, prevent chronic disease, and monitor environmental quality to transform the health of your community. When you use Esri technology to better understand the neediest people in your community, you can better allocate limited resources and enact policies that will improve the lives of your citizens. Map and model the spread of diseases and plan steps to combat and contain them. Clearly communicate public health challenges and resources such as tainted well wells or evacuation centers. Combine risk factors, hazards, and demographics into a common view to get the complete picture. Easily share data related to diseases and pandemics to keep the public informed of emerging public health incidents. Provide access to nonprofits and developers who can create applications like flu shot locators that supplement your services. 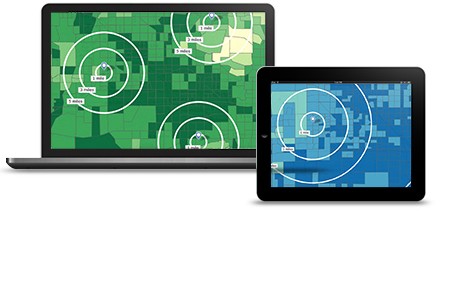 See ArcGIS Open Data in action at the State of Washington. Create story maps and interactive apps that help people understand how they can stay healthy. Provide decision makers with focused views of data that help them allocate resources to combat public health challenges and promote community well-being. Take a fresh look at community health with ArcGIS Online. Identify the most vulnerable populations (such as seniors or children) in your communities that could be most impacted by a public health event. Create reports that model the demographic impacts of events in different parts of your community.